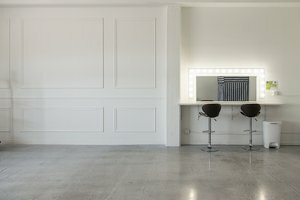 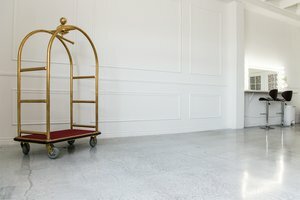 White & Pink studio on the 2nd floor with South-West facing window and polished white textured concrete floors, elegant gold stainless steel bellman cart and a white frame wall. 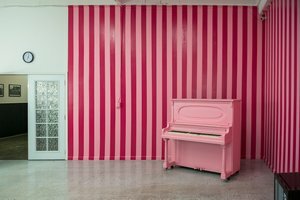 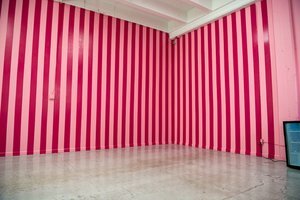 There is a stripped pink corner and carnation pink wall along with a pink upright piano! 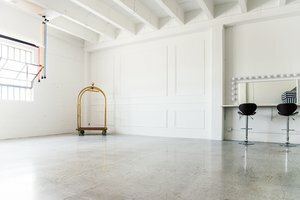 Ideal for model tests, couple shoots, e-commerce, lookbooks, wedding&love stories and more! 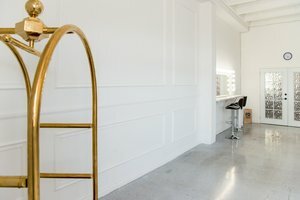 The studio comes with 3 x alien bees B800 already on c-stands with available or requested light modifiers, a changing tent, rolling cart, make up station with dimmable lights and stools, as well as with Gold Stainless Steel Bellman Cart.